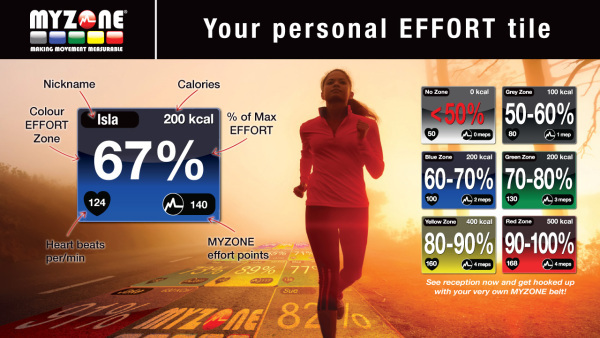 MYZONE is a topnotch monitoring system that tracks and displays in real time the EFFORT of the individual wearing it. Users can easily see how hard they are working on our studio monitors, wearable, or smartphone. We coach, challenge, motivate, and inspire using this cool tool to help you get to your fitness goal. We design various challenges each month to fire up your fitness using this wearable technology. 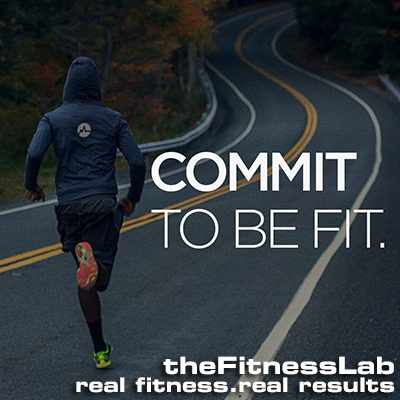 This is just another way for us to motivate you and hold you accountable both in and outside of the Fitness Lab. Yes, MYZONE tracks outside of the club too. Make all of your workouts count – even your recovery workouts. Meps are MYZONE effort points. 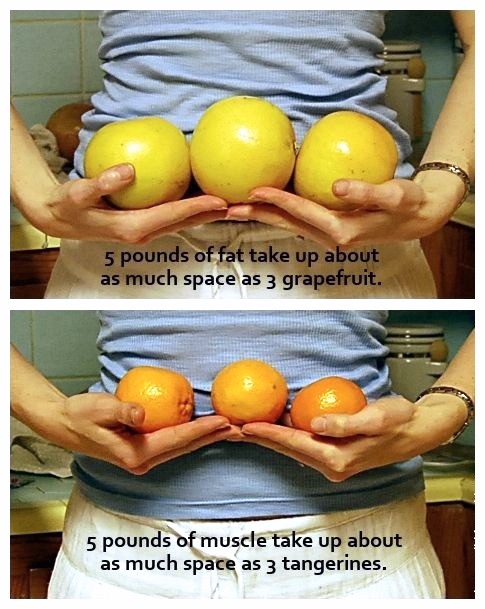 This is the metric we use to hold you accountable to your goals. The number is a combination of heart rate, age, and duration on work. Meps are rewarded based on effort; the harder the individual works, the more points are rewarded. This is completely individualized. More points isn’t always better. This is the most important feature of the MYZONE technology in our opinion. 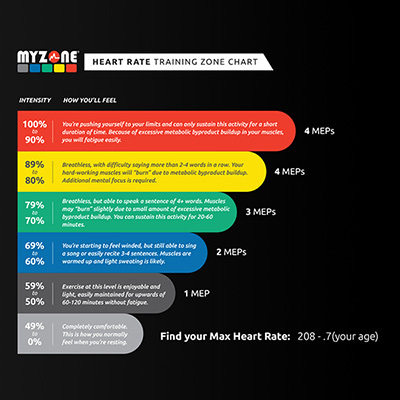 MYZONE, in conjunction with W.H.O. (World Health Organization) has done research on heart rate, and they agree that reaching 1300 MONTHLY MEPs will basically erase all communicable diseases. We love it when you are at the Fitness Lab working hard, but we understand that sometimes life can complicate getting to the gym. If you can’t train with us, we encourage you to wear your belt, do something to elevate your heart rate, and attain that 1300 number. Hitting this goal will help you stay healthier and happier. What Should I Be Aiming for MEP Wise? 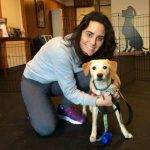 Vacations and Workouts Outside of TFL? No matter where you are, if you have your MZ3, your workouts are going to be counted towards your goal. No matter where you are you can always do something. What if I don’t hear my belt beep, see my name up on the monitor or it is not connecting to my Phone? Sometimes wetting the backside (black part) of the belt will help form a better connection. there may be a problem with the battery, Your phone might not be compatible. If problems continue, let us know or contact MYZONE. MYZONE uses a simple nickel battery and lasts roughly 6-9 months. Remove plastic monitor from red strap and hand wash. Keep out of extreme cold or extreme heat. We recommend not using it while swimming or other water sports. If you do have issues with your MZ3, we will replace it within 60 days. After that, a replacement MYZONE belt can be replaced for $69.00. The MZ3 belt does not use a battery, it uses a USB. The strap can be replaced for $15.00. Do I have to participate in the MYZONE program at TFL? We highly recommend it, but if you do not wish to participate, you do not have to. I am Having Trouble with My Belt, Who Should I Contact? Good news…We are great at fitness. Bad news…we are not so great at tech support. The staff can only help you as best we can, which unfortunately isn’t a whole lot. Great News…. MYZone has a tech support team that is top notch and can help you way better than we ever could. Click here for support. "The people at the Fitness Lab – both coaches and other participants – are awesome. It is a full body workout and I always leave feeling so much better than when I arrived. I’ve noticed a huge difference since I started! It’s gotten me back to a regular fitness routine. I’ve also gotten leaner and stronger in a short time. Finally, the mental health benefits are pretty great. Thank you to Dillon, Rachel, and Bailey for awesome and fun workout experiences that have really made a difference to me!"